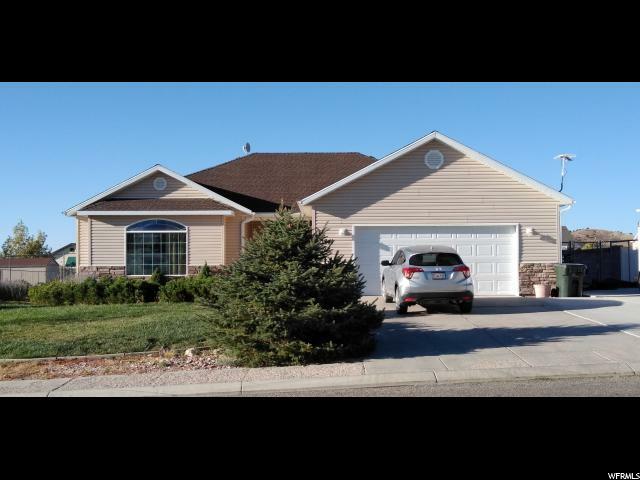 All Enoch homes currently listed for sale in Enoch as of 04/20/2019 are shown below. You can change the search criteria at any time by pressing the 'Change Search' button below. If you have any questions or you would like more information about any Enoch homes for sale or other Enoch real estate, please contact us and one of our knowledgeable Enoch REALTORS® would be pleased to assist you. "This is your piece of paradise! Enjoy beautiful sunrises over Cedar Mountain from the spacious deck or office. Open areas to play, entertain, and tend a garden in custom built garden boxes. Established fruit trees. This is the home for you. A full basement is ready for your enjoyment. Custom workbench and floor-to-ceiling shelves in the garage. There's RV parking, plus a fully fenced yard. The northern end of the deck has power and extra posts for a hot tub.Additional bonus room, pantry room, and long-term cold storage. Welcome to your piece of forever!" "Beautiful Mountain View home on a large lot! 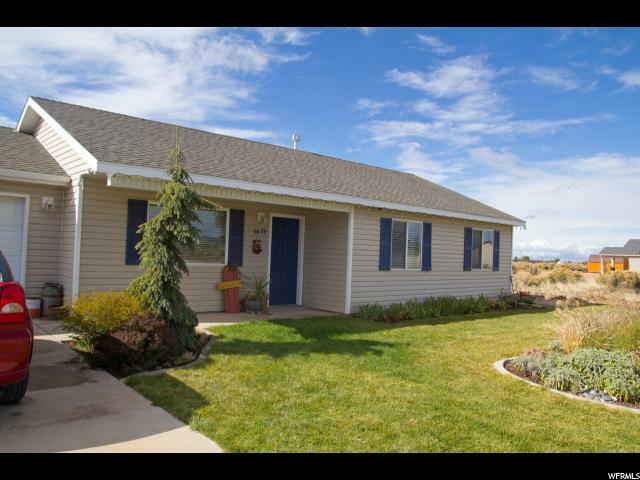 This home has many feature points: Fully landscaped front yard, with front Flagstone courtyard to enjoy the mountain view! Large covered front porch with a wheelchair ramp. Going into the house turn left into an open floor plan: with Kitchen, dining room pantry and Living room. The living room has a 8ft wide 7ft tall arched picture window to enjoy your views and is the focal point of the room! that comes outside into a covered enclosed patio that has 2 sliding glass doors going out into the dog yard. there is a garden shed attached to the patio that matches the house nicely! Out back we have 2 gardens, and MANY mature fruit trees! 5 kinds of apple, 3 kinds of plum, apricot, peach tree's, 2 raspberry beds 2 blackberry beds, a greenhouse and a chicken coup! and yes you have animal rights! you can have horses, goats, chickens, sheep etc! A gardener's dream! Back in the house, going straight from the front door we have the first master bedroom (yes we have 2!) This master has a seperate entrance into the house and a very large shower and bathroom VERY wheelchair and handicapped accessible! further down the hall is another full bathroom and 2 bedrooms (one has a fully built in closet! ) From the front door you can also go downstairs turn left and you'll come to the Master suite! The bedroom is 20 x 22 and the fully built in closet with plush carpet! The full bathroom is the size of a regular bedroom with 4 deep floor to ceiling cabinets. There is a partially carpeted and tile family room and another room we use for storage but would easily make a 5th bedroom! (Already framed) There is also a LARGE utility room with MORE storage! The garage is a large double car garage that is fully insulated and finished inside with an automatic garage door opener. The parking is full cement with a 52 ft long and 36 ft wide driveway! Plenty of room for RV Toys friends and more! Fully fenced back yard with 2 entrance gates (one is drive t"
"Cute starter home. New paint & carpet. Plenty of room for large garden. Over sized one car garage. Great views!" "Very nice home on half acre lot with tall, mature trees and plenty of shade! All appliances included. Move-in ready! Updated laminate flooring in living, dining, kitchen, and hallway area. Over sized 792 sq ft enclosed carport garage with room for workshop. Basement is walkout basement to backyard and patio. Metal roof and there is an enclosed front & back porch. The front enclosed porch has windows and is a great sun room and sitting area. The basement is plumbed for third bathroom. 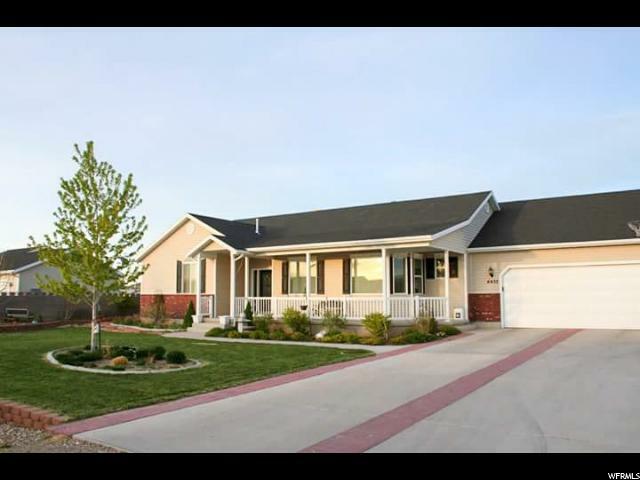 Come take a look at this home in this quiet area with views of the mountains! RV Parking, Animal Rights, Room for toys & Work Shop included. Location is near Brian Head Ski Resort, Zion National Park, & Bryce Canyon National Park."